Don’t look now, but the Pack appear to be back. After ending the Texans unbeaten streak a week ago, Sunday in St.Louis with many Packer fans on hand to cheer their team, the Packers won again, topping the Rams 30-20 to improve to 4-3 on the season. Aaron Rodgers passed for three touchdowns and Green Bay’s depleted defense clamped down on the Rams, leading the Packers over .500 for the first time in 2012. Randall Cobb caught two touchdown passes and Jordy Nelson had eight receptions for a season-best 122 yards for the Packers. Rookie Casey Hayward made his first start in place of injured Sam Shields and intercepted his fourth pass in three games. Sam Bradford connected on 21-of-34 passes for 255 yards, one touchdown and an interception for the Rams (3-4), who have lost two in a row. Steven Jackson carried the ball 12 times for 57 yards and a touchdown for St. Louis, which has lost four straight and seven of its last nine in the regular season to the Packers. Rodgers was very efficient while leading an offense heavily tilted to the pass game and went 9 for 14 on third down. 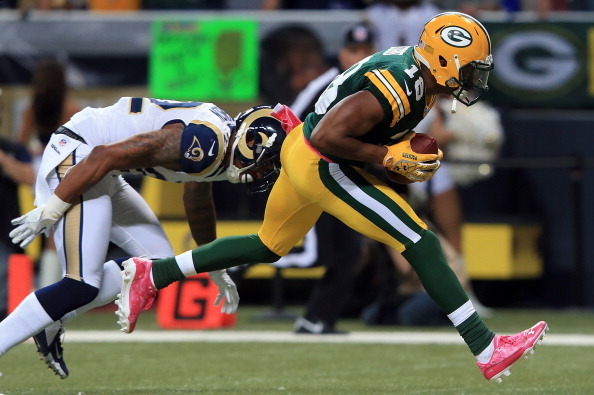 The Packers got the win shorthanded on defense, as they were without four defensive starters. Shields (shin, ankle), linebacker Nick Perry (knee) and tackle B.J. 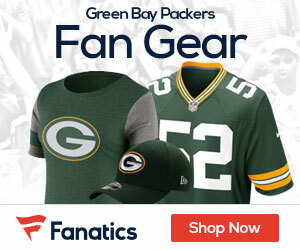 Raji (ankle) were inactive. Linebacker D.J. Smith was recently placed on injured reserve. Overall it was a great road effort vs a Rams team that had not lost a game at home this season. The Pack next week play at home vs the Jacksonville Jaguars.